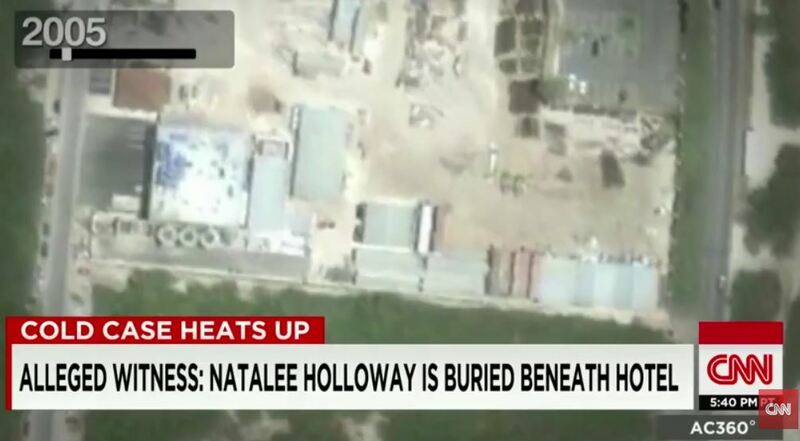 Dave Holloway, the father of missing and deceased Natalee Holloway, is stating along with private investigator T.J. Ward that they may have finally found her remains. 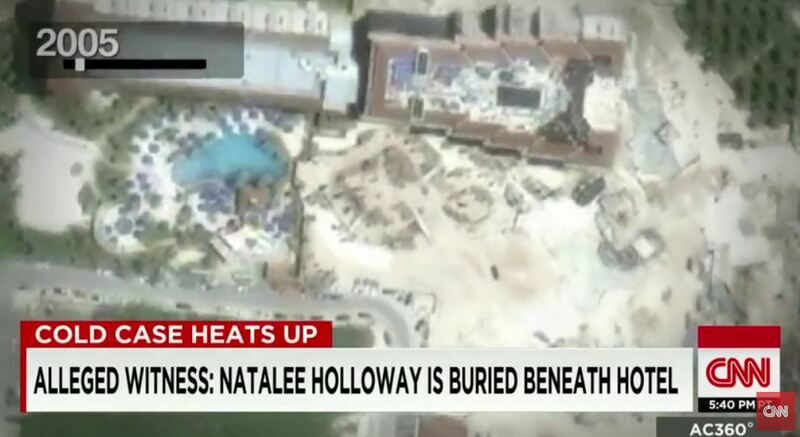 According to Dave Holloway and TJ Ward, remains have been discovered in the long-unsolved disappearance of Natalee Holloway in Aruba and they have been determined to be human. Now, DNA tests will have to be conducted. The new lead was a product of the individual known as Gabriel. 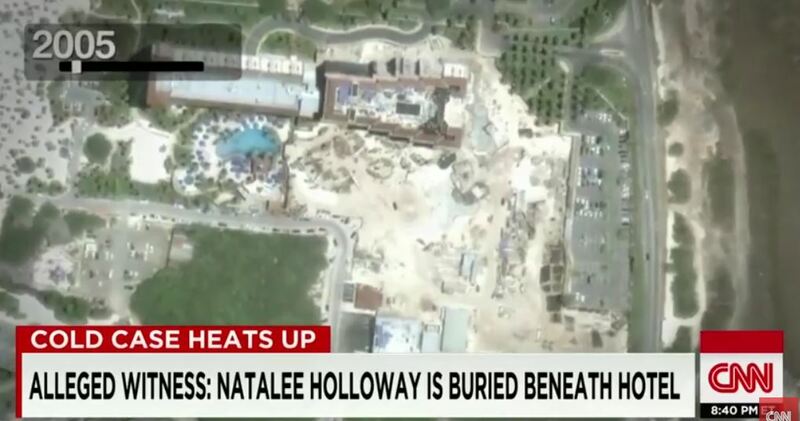 This new discovery was the result of an 18-month investigation with Ward, a search that was documented for an Oxygen TV show that debuts Saturday, “The Disappearance of Natalee Holloway.” I can only hope for the family’s sake that this is legitimate and will finally bring closure for Beth, Dave and the rest of Natalee’s family. 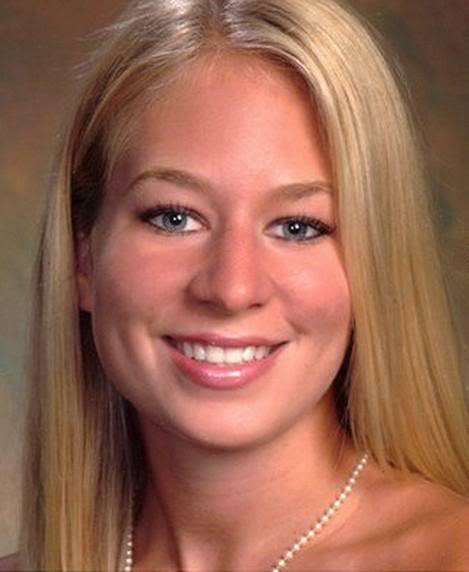 Natalee Holloway went missing on May 30, 2005 in Aruba. But I have my doubts. For much more and discussion, go to Scared Monkeys forum: Natalee Holloway. The father of Natalee Holloway said he and a private investigator found human remains in Aruba and he thinks his daughter’s body may have finally been found. 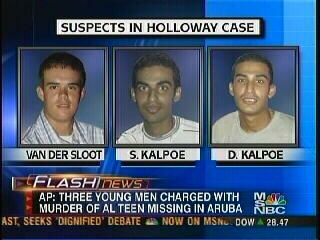 Holloway was 18 years old when she disappeared in Aruba back in 2005 while on a graduation trip. Dave Holloway said he was contacted by an informant named Gabriel, who said he had some information that may lead to finding Holloway’s body. With the help of a private investigator, they targeted where the human remains were found. The remains are now being tested for DNA, which could take weeks. A DEATH SENTENCE WELL DESERVED!!! Dylann Roof has been sentenced to death in connection with the murder of 9 individuals in the 2015 shooting massacre at the Emanuel African Methodist Episcopal Church in Charleston, South Carolina. Roof was convicted last month of 33 counts of federal hate crimes. It was the same jury that found him guilty on all counts last month that deliberated Tuesday. In just under three hours the jury came back with their decision … death penalty! Twelve federal jurors said Tuesday that Dylann Roof, the man who killed nine people in a 2015 massacre at a historically black Charleston, South Carolina, church, should be put to death. “We are sorry that, despite our best efforts, the legal proceedings have shed so little light on the reasons for this tragedy,” the statement said. 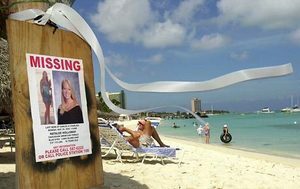 Tomorrow will mark 10 years that Alabama teen Natalee Holloway went missing in Aruba. After all the searches, all the lies, all the incompetent police work, all the cronyism, all the corruption and all the cover up, Natalee Holloway is still missing and is presumed dead. At the heart of Natalee’s disappearance and death is the prime suspect who was last seen with her, Joran Van der Sloot. Also at the root of the Natalee Holloway disappearance was a Caribbean Islands attempt to not have their tourism hurt by the case. Recently a witness has come forward, Jurrien De Jong, who said he saw Natalee and Joran that fateful night in May 2005. 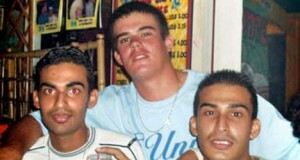 De Jong said, “I saw that Joran was chasing Natalee into a small building under construction. In about five minutes he came out with Natalee in his arms, and slammed the body of Natalee on the floor, and then he made an opening in a crawl space … I knew she was dead.” Actually, Jurrien De Jong is not a new witness to the case because he said similar comments in 2010. 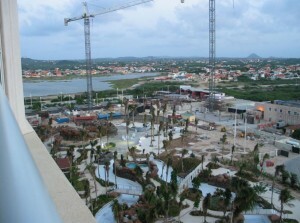 Jurrien De Jong spoke with Diario and said that Joran killed Natalee at the Marriott Aruba Surf Club that was under construction. Their right is the Marriott Aruba Surf Club Phase 3, in terms of structure is finished and only needs to be finished and left, a row of containers. 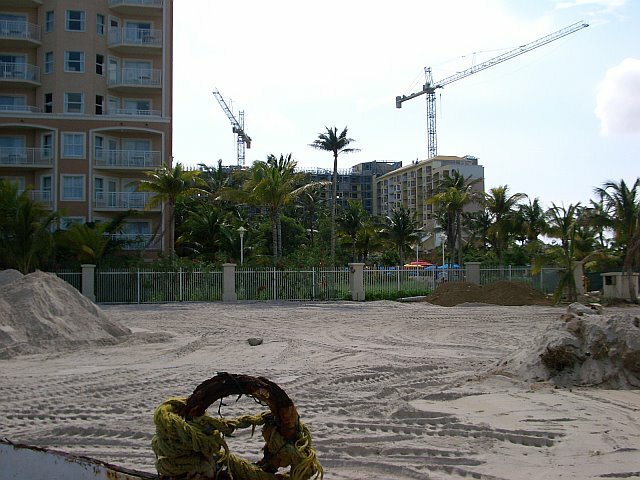 Joran suggests that stars and look at Natalee’s remark that there is already a roof on the hotel is right, then he points to show a small building at the very end of the site. If your building plan of the hotel on Google Earth satellite image of June 22, 2005 submit, you will find that this building is the start of the emergency stairwell # 3 of “The Spyglass Tower”. They run inside, climb on the landing, go through the stairs to the first floor and steps in a “half” room, which later the space behind the elevators would be. He then takes her in his arms and running down the stairs and puts her on the landing. He jumps down, pulls her into the hallway and grabbed a fire with a twist smacks her on the ground. Then he pushes the sand to crawl away and he pulls Natalee at her feet inside. He crawls to the end of the room and stuffed with sand near the crack. His shoes, where blood is, he kicks off and leaves behind this spot. However, Aruba Chief Prosecutor Eric Olthof dismisses Jurrien De Jong’s story that he saw Joran Van der Sloot kill Natalee Holloway at this location. 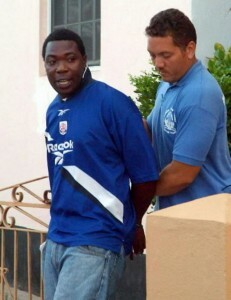 But we know ARUBA IS CORRUPT AS HELL. The Aruban authorities and the Marriott claim that the construction of Spyglass Tower at the Marriott Aruba Surf Club claim that it was not under construction at the time. REALLY? Judge for yourself from the picture taken from Google Earth 2005. On the other hand, some signs complicate Marriott’s official time line of the construction of Spyglass Tower. 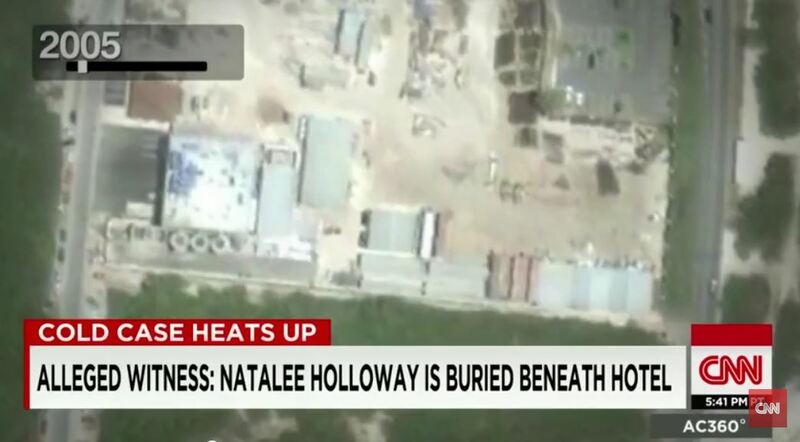 A satellite image from Google Earth taken in June 2005, just a few weeks after Natalee Holloway disappeared, shows what appears to be the blurry outlines of structures that could resemble a construction site. Holloway’s father says he remembers the site from the day after his daughter’s disappearance. “I can tell you for a fact. 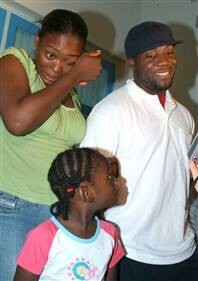 I was there on June 1, and there was definitely construction in that area,” he says. “It’s the inconvenient truth. 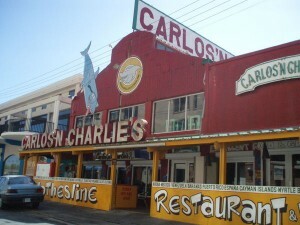 It would damage the image of Aruba as one happy island,” he says. Oltholf won’t say that de Jong is lying, but says his statement can’t be true. 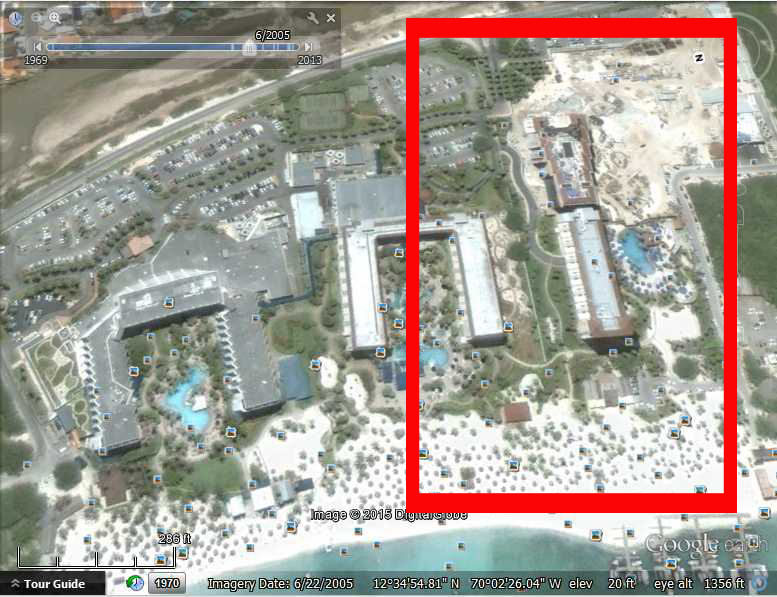 UPDATE I: More pics from Google Earth via CNN video of the Marriott Aruba Surf club in 2005. From the pics it appears, unlike what Marriott has stated, there was construction taking place at the site and the location of the Spyglass Tower. For much more information, past and present, to read others analysis and comments and to provide your own, go to Scared Monkeys Forum: Natalee Holloway. 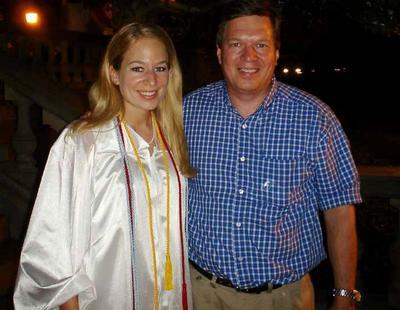 In his own words, Dave Holloway says he never would have dreamed it would be 10 years without answers to what happened to his daughter Natalee Holloway in Aruba. Dave says it is a parents worst nightmare and just wishes he had answers. He said during the interview, “I just can’t imagine three guys who are 17-18 years old that they could not be interrogated by police officers and not break em,”. The crime should have been resolved within the first 24 hours; however, between corruption, incompetence and bad police work, it was not. However, when a family goes up against “One Corrupt Island” and a system of cronyism of a connected lawyer and judge in waiting in Paulus Van der Sloot looking to protect his son and an island whose sole existence is based upon tourism, it was a near insurmountable nut to crack. In a final word from Dave Holloway and looking at the case of Natalee Holloway, while there have been many promising leads that have come and gone throughout the past ten years, one thing that has never changed is a father’s love for his daughter. “I just wish we had an answer.” Frustrations with the Frustrations have lingered for ten long years. Politics, money, corruption…. the story had all the makings of a soap opera played out on an international stage. “I just can’t imagine three guys who are 17-18 years old that they could not be interrogated by police officers and not break em,”. He was back in Aruba recently after an alleged witness re-surfaced saying he saw suspect Joran van der Sloot with Natalee at a Marriot hotel which was under construction. But police in Aruba have quickly discounted his claims saying his story doesn’t match up with the construction timeline at the hotel. 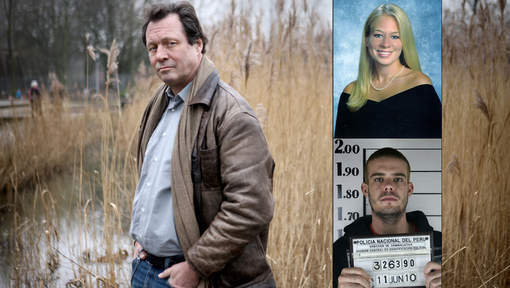 The witness said Natalee was dead and van der Sloot hid her body. He claims he didn’t come forward at the time because he was involved in illegal activity.